As I write this blog post, the Australian government has just enacted a decryption bill that according to experts can only lead to systemic weaknesses that will put us all at risk. Apple and others are arguing that it is precisely because of the threats from criminals and terrorists that we need strong encryption. Indeed it was likely software from an Israeli firm sold to governments and used by Saudi Arabia to spy on Jamal Khashoggi’s WhatsApp messages that later lead to his brutal murder. MBS and Putin at G20 in Argentina. Privacy has always been front of mind for the cypherpunks in the digital cash and cryptocurrency community. For many of these people privacy is a basic human right. With Bitcoin, money for the first time became indistinguishable from speech. This was predicted by cypherpunks decades ago. Timothy C. May, a founding member of the cypherpunk movement, wrote in ’97 that ‘Digital Cash = Speech’. As Bitcoin and other cryptocurrencies are open source software (arguably a form of speech), lines of code are now money. Is this a Bitcoin transaction or a classic text? Cypherpunks understood that if you like to support (including financially support) the opposition in say Saudi Arabia or Russia — a private means of communication might mean the difference between life and death. While Bitcoin is pseudo-anonymous, other cryptocurrencies offer in-built privacy. Dash was an early fork of Bitcoin offering a mixing technology for private transactions. Monero is a well known privacy focused coin using ring signatures which combines signatures to obfuscate the inputs to a transaction. When Zooko Wilcox, a cypherpunk who worked for David Chaum at DigiCash founded Zcash, it marked a new area in private cryptocurrencies. Zcash uses zero-knowledge proofs to provide absolute privacy. We can think of zero-knowledge proof as a way to proof something without revealing our secret. As an example, when I log-in to password manager Lastpass, that service has stored a hash of my password. Since a hash function as one-way function, it is enough to transmit the hash of the password to Lastpass, not the actual password — in other words, I don’t have to reveal my secret. Former CIA, nowadays President of the Freedom of the Press Foundation. We are now close to the launch of a new technology which combines privacy with scalability. 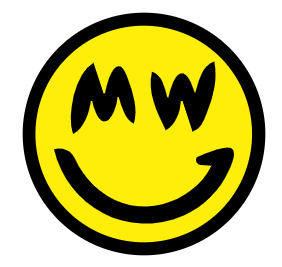 This technology is called MimbleWimble and one implementation of this, Grin, is set to launch next month. A recent episode of the ‘What Bitcoin Did’ podcast gives a good overview of MimbleWimble and Grin. MimbleWimble transactions are based on proofs that input minus outputs are zero, thus very little data needs to be revealed and the blockchain will stay very small. Grin is set to launch around January 15, 2019. We are actively investing in some of the technologies helping to bring financial freedom to everyone in the world. Apollo Capital holds Bitcoin, Zcash, we invested in Orchid protocol which is building a more secure Internet and we look forward to the launch of Grin. For Bitcoin, the Lightning Network being built on top of Bitcoin could potentially provide more privacy there too. The good news here is that cryptography is a rare technology where it is much easier (and not just a little bit easier) to defend yourself than to attack — due to a fundamental asymmetry behind public-key cryptography. Open source + cryptography can and will continue to protect speech — both in the form of conversations and digital money. With the advent of encryption laws like we are seeing in Australia — open source software becomes a critical infrastructure for communication and free speech. With cryptocurrencies cypherpunks are extending the roam of free speech to digital money — a development very much still ongoing. For those of you interested in staying safe online, The Electronic Frontier Foundation provides a good guide for ‘Tips, Tools and How-Tos for Safer Online Communications’. Henrik Andersson is the Chief Investment Officer of Apollo Capital — Australia’s Premier Crypto Fund. The Apollo Capital Fund is a professionally managed portfolio of crypto assets, offering investors exposure to the fast growing crypto market. For more information, please see apollocap.io.